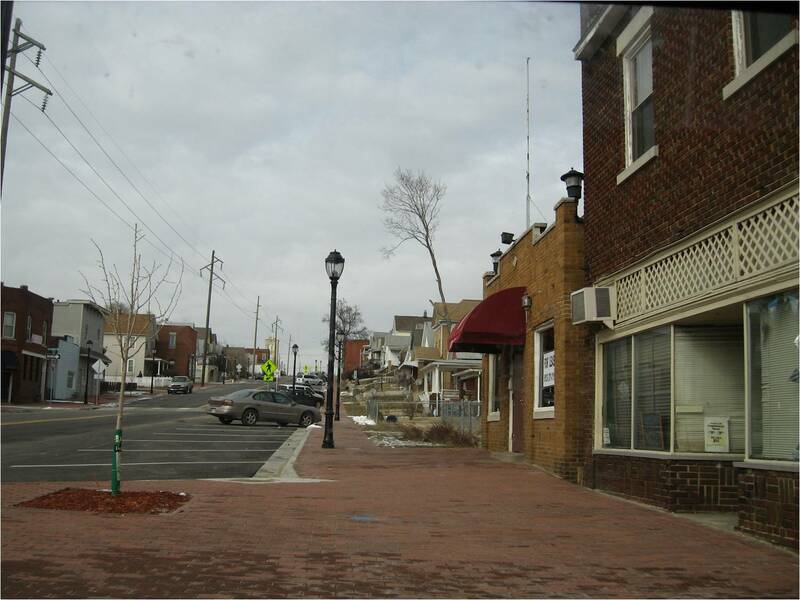 Streetscape improvements are a common and popular way to spruce up a retail district. Sidewalks, curbs, trees, landscaping, etc….the idea is that these improvements will result in a more attractive and welcoming environment for visitors, shoppers, and ultimately businesses. This kind of improvement is relatively easy. Infrastructure money can often be wrestled from Federal and State sources, and the visible improvements are always a favorite of local elected officials, who can often be counted on to contribute additional dollars. So what is wrong with this scenario? Win, win, right? A new brick sidewalk in Kansas City, KA. Vacancies remain. If only that were the case. Organizations intent on improving the downtown streetscape should heed this word of warning…avoid installing brick sidewalks and pavers. Communities are increasingly turning away from this once popular option, citing slip and fall lawsuits, on-going maintenance challenges, and increasingly the recognition that brick sidewalks are insignificant to the shopper experience. Consider Salem, MA, where they are actually pulling and paving the brick sidewalks that were installed in the 1990’s after complaints from businesses [“Salem pulling, paving downtown brick crosswalks”]. Shoppers want a clean environment, and well maintained concrete sidewalks, for instance, are just as effective not to mention less expensive and easier to maintain. Now THAT is a win, win. Great post and so true! Commercial districts should focus on what happens between 2 and 12 feet: humans line of site. Better seating, hanging flower baskets and attractive merchandising are much better investments.